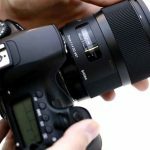 Cameralensstudio.com is a participant in the Amazon Services LLC Associates Program, an affiliate advertising program designed to provide a means for sites to earn advertising fees by advertising and linking to Amazon.com and any other website that may be affiliated with Amazon Service LLC Associates Program. This does not under any circumstances affect the unbiasedness of the reviews or ratings provided by Camera Lens Studio. Commissions are the same for all items and items are included based on performance only.